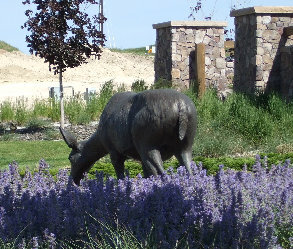 Our eagle statues and yard art are constructed of cast aluminum, which means there’s no need to worry about bringing your sculpture indoors during harsh winters; your eagle garden statue is environmentally green, rustproof and will never rot. The cast aluminum is very thick and very strong! 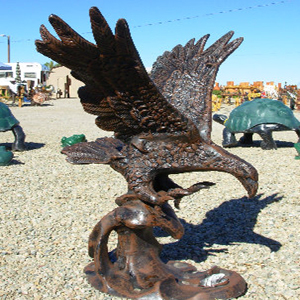 Your Recycled Cast Aluminum Eagle Statue and Yard Art will be a treasure to last a lifetime. 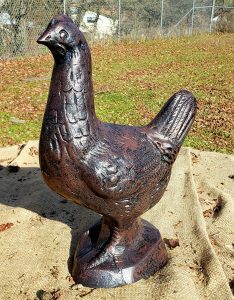 Our eagle statues and garden decor are perfect for commercial indoor and outdoor gardens, home garden and yard decor, theme park, golf course ornaments, childrens play areas, museum displays, school displays or outdoor garden animal themed events. This eagle with wings spread garden statue is a magnificent creature that rules the sky.. The eagle symbolizes power, might, and the wonder of flight. 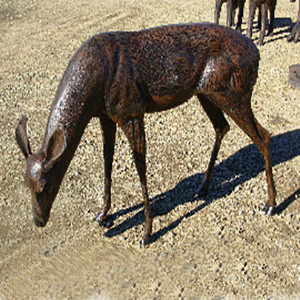 Our mesmerizing eagle yard art catching a fish stands 42″ high and weighs 100 lb. Our sculptor captures the look of an eagle scooping down on water and has detailed feathers. 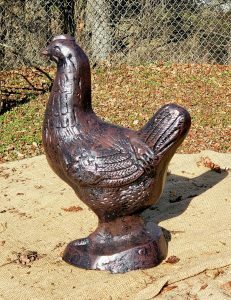 Contact us TODAY about this Eagle garden statue and mention code 7PMB13 to receive special pricing. Colors and texture may vary from eagle to eagle making each one-of-a-kind.